“It’s 2014,” I was told at breakfast this morning. “It’s a New Year. ‘Everything is going to be better,’ Dave says, so perhaps in preparation for next year’s SDSR we’ll have some new defence policies related to the real world.” But I wasn’t listening. Here, in 2008, they presciently discussed the Carrier-Strike programme and its intention to use the short-range F-35B STOVL aircraft. 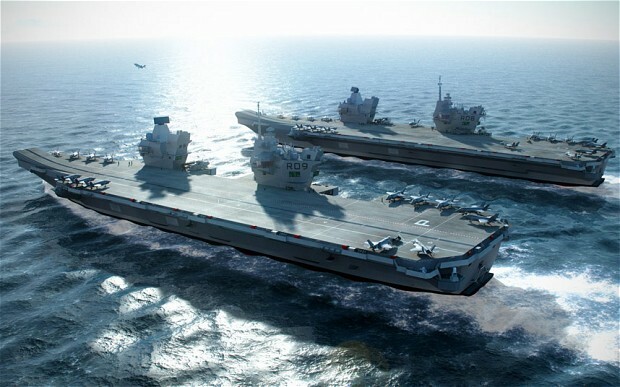 Some of their figures five years ago were optimistic, the programme cost having doubled since then and the size of the Royal Navy having been reduced further, but in general the sketch was based on a fair interpretation of the MoD’s flawed maritime policies. My ancient friend, the philosopher-fool Nasruddin, whom regular readers may remember from past blog entries, although recently in Afghanistan which is regularly visited by F/A-18 strike aircraft launched from American warships in the Indian Ocean, knows nothing of aircraft carriers. Nevertheless a tale is told of him that may strike a chord with readers who have studied the operational limitations of the F-35B STOVL aircraft scheduled to cost us ……. cost us what? The MoD does not know. The Defence Secretary does not know either. But a colleague in Washington predicts that we shall be lucky to get away with £125million each, and that would be only the notional cost anyway, for the real cost over its service life will double this figure. That is a lot for a widget that won’t do what it said on the bubble-wrap packaging when the MoD chose to order the STOVL Joint Strike Fighter. Mullah Nasruddin visited the souq one day when a caravan of merchants had stopped to fill stomachs and water bags, and to fleece the locals. One of them, a most distinguished man Nasruddin was told, took him into conversation and, having realised that Nasruddin was a very holy man, offered to show him the holy cup that never ran dry. No matter how much wine was drunk from it, the merchant’s friends confirmed, always it refilled itself overnight. Eventually, after much hard bargaining, Nasruddin persuaded the merchant that he, a holy man, was by far the best qualified custodian for such a holy vessel, and just as the merchant was about to leave he agreed the price he would pay for it. When Mullah Nasruddin awoke the next morning the holy cup was dry but, nevertheless, because it was holy he washed and dried it with loving care, congratulating himself on his astuteness, and praising the quality of the wine that would have been in it that morning if Allah had wished it.